Enhance your knowledge about the unique history, role, mission and identity of Catholic colleges and universities and become empowered and equipped to contribute to creating a mission driven culture. • Deepen your personal sense of purpose, sense of vocation and individual leadership development. • Gain skills to engage the tensions that arise from contemporary moral issues in a meaningful and productive way. • Strengthen skills to foster vocational discernment, faith development and spiritual formation in students. Who should attend: The Mission Integration Institute is designed for entry-level and mid-career professional administrators working in Catholic higher education. This includes people working in student affairs, campus ministry, admissions, cultural diversity, communications, alumni relations and others currently interested in or exploring careers within Catholic higher education. *Are you the first person from your institution to attend the institute? If your Institution has never sent anyone to participate in our Mission Integration institute then you are eligible for a $200 discount! You only pay $1,200.00. Just click "First time registration" in the online registration. Accommodations: To foster community, participants are asked to reside at USD. Each participant will have a single room and share a bathroom in a suite style apartment. USD rests on 180 acres perched on a pristine canyon overlooking the Pacific Ocean and features beautiful 16th century Spanish renaissance architectural style. Schedule: The program begins Monday afternoon, and continues through noon on Friday. Tuesday and Wednesday evenings are free for participants to explore San Diego on their own, or through USD hosted activities. Registration is taken on a rolling basis. We expect the Institute to fill up by the end of April and encourage registering early. Erin Bishop serves as the director for the Center for Christian Spirituality within the Office for Mission at the University of San Diego. Her previous work includes campus ministry, spiritual direction and serving as an adjunct professor in the Theology and Religious Studies Department. With over nine years of experience in Jesuit institutions, she is familiar with Ignatian spirituality and is especially interested in the integration of Catholic Social Thought and how to best help form people to become contemplatives in action. Kathryn (Kathy) Lila Cox, Associate Professor of Theology at St. John's School of Theology and Seminary and in the undergraduate Department of Theology of the College of St. Benedict and St. John's University. She earned her doctorate from Fordham University in 2007 and currently explores the role of emotions in the moral life and the intersection of science and theology. A noted scholar on conscience formation, her work concentrates on how human beings shape each other, and the complex role that faith plays in decisions and actions. Donald Godwin, Assistant Vice President and Dean of Students, was appointed to his role at the University of San Diego in January 2007. Prior to his post at USD, he served as Dean of Students at Marywood University, as well as other Student Affairs administrative posts at Villanova University and Marist College. He earned his doctoral degree in Higher Education Leadership from Widener University, and he also holds a Master of Public Administration degree from Marist College. For over two decades, Donald’s work in higher education has focused on working with young adults to develop the knowledge and skills to create a more just society. 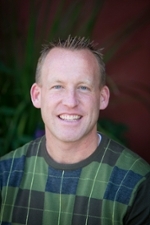 Michael Lovette-Colyer has served at the University of San Diego for the past nine years. He is most passionate about helping undergraduate students to ask big questions regarding how they will live authentically, guided by a sense vocation, while offering their gifts in service of the world. Michael also has extensive experience designing, facilitating and assessing immersion experiences. As an adjunct faculty member in the department of Theology and Religious Studies, he teaches a section of Introduction to Catholic Theology each semester. Prior USD, Michael spent eight years working on behalf of Santa Clara University in the office of Campus Ministry and the Ignatian Center for Jesuit Education. While at Santa Clara, he directed the DISCOVER Project, a university-wide initiative funded by the Lily-Endowment designed to engage the university community in the theological exploration of vocation. Fr. David McCallum, Ed.D., S.J. Fr. David McCallum, is a Jesuit priest and educator. In addition to administration and teaching, Fr. McCallum provides consultation on issues of strategy and mission, facilitates leadership and organizational development, and offers spiritual retreats. He has served as interim Dean of the Madden School of Business at Le Moyne College, and as the interim Vice President of Institutional Advancement. Carmen M. Vazquez was appointed Vice President, Student Affairs, at the University of San Diego in 2005. She has many years of experience as a student affairs educator and practitioner. She began her career at the State University of New York at Stony Brook, including adjunct faculty in the school of social welfare, dean of students and assistant vice president for alumni relations. She served as assistant vice chancellor for student life at the University of California, San Diego, from 2002-2005. She is dedicated to the holistic development of students. To register contact us at ccs@sandiego.edu.